As you've seen me type many times in the past, there's no such thing as "too many resources" for a DM/GM to draw from. 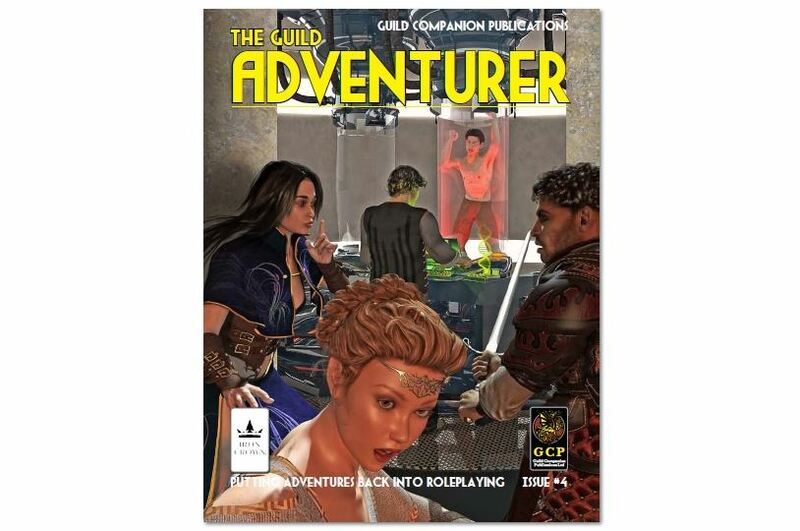 Well, Iron Crown Enterprises is here to help with Guild Adventurer #4, available now. There's adventure resources for Rolemaster, Shadow World, and HARP. So, what will you find inside? Well, there's five new adventures to take your party on. There's Who Saves the Savior for the Echoes of Heaven setting. Then there's Unusual Heroes, where your everyday-peasant is tasked to step up to the hero level. Up next is Muck and Mire, a stand-alone scenario for HARP and Rolemaster. If you're up to attack some undead, there's the Keep of the Damned. Finally, there's Eyes of Stone, where you take on the mysteries of southeast Emer.